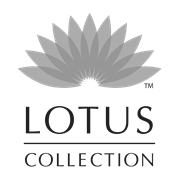 The Lotus Collection Glazed Ceramic Pot planter will make a beautiful addition to any home or garden. Made from sturdy ceramic construction, the pots including a saucer to collect excess water to prevent against over watering. Finished in a stunning glaze and traditional design it will add seasonal longevity and character to any home or garden. Available in three colours – Beige, Blue & Grey.